Army Sgt. 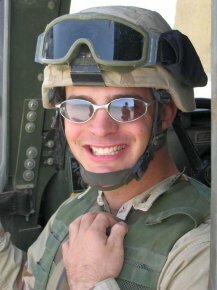 Daniel Gionet - Run for the Fallen New Hampshire, Inc.
detonated near his M1A2 tank during combat operations. Dan enlisted in the U.S. Army on his 18th birthday.. He served his first tour of duty in Afghanistan from July 2003 to May of 2004 and re-enlisted as an Army Medic. His tour in Iraq began in December 2005. He was awarded the Bronze Star Medal for meritorious service. He gave the ultimate sacrifice during combat operations with the highest traditions of military service and reflect great credit upon himself, the Multi-National Corps-Iraq, and the United States Army. He also was awarded the Purple Heart for wounds received in action. Daniel will always be remembered by his family and friends as a selfless, sensitive, caring and fun-loving young man, who loved to make people laugh. He enjoyed playing baseball, wrestling, nice cars and most of all, spending time with his friends and family. 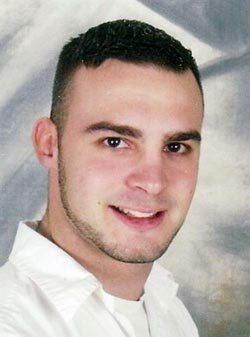 ﻿﻿Sergeant Daniel R. Gionet was a brave young American who gave his last full measure in ser­vice to our nation while deployed with the U.S. Army to Iraq, a land far overseas from his Pelham, New Hamp­shire roots. He was a 2001 graduate of Pelham High School where he was a three-season athlete competing on the school’s football, baseball and wrestling teams, winning the sportsmanship award his senior year. Friends say he was a team player and the type of guy who, no matter where you went or what you did, could have fun and make you laugh. Daniel Webster, speaking of early American leaders said, "While others doubted, they were resolved; where others hesitated they pressed forward.” In this spirit, Daniel joined the U.S. Army when he turned 18 and left for basic training after graduating from high school. 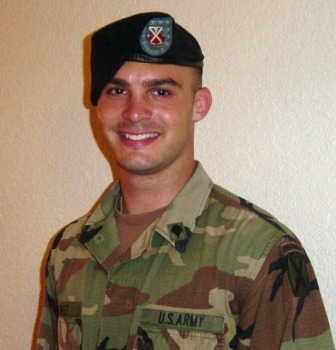 He was assigned to the 3rd Battalion, 6th Field Artillery Regiment, Fort Drum in upstate New York, and served at Kandahar Air Field, Afghanistan, from July 2003 to May 2004 in support of Operation Enduring Freedom. Believing in what he was doing and wanting to make the world a safer place, he re-enlisted in the U.S. Army to become a medic after his original tour ended in May 2004. After training at Fort Sam Houston in Texas, he was assigned as a Health Care Specialist in the 1st Bat­talion, 66th Armored Regiment, 1st Brigade Combat Team, 4th Infantry Division, Fort Hood, Texas. In De­cember 2005 Daniel deployed with his unit to Iraq in support of Operation Iraqi Freedom. Dan and a comrade from his unit, died of injuries sustained while on patrol in Baghdad, Iraq when an improvised explosive device detonated near their M1A2 tank dur­ing combat operations. After the bomb shattered the tank he was riding in, Dan tended to the wounded around him, ignoring his serious injuries. When a medic unit finally arrived, he made his last decision. Dan said, "Don't deal with me. Go help the lieutenant. He's in greater danger than me. " His awards and decorations include the Bronze Star, Purple Heart, Army Commendation Medal, Army Achievement Medal, Army Good Conduct Medal, National Defense Service Medal, Iraq Campaign Medal, Global War on Terrorism Expeditionary Medal, Global War on Terrorism Service Medal, Army Service Ribbon, Overseas Service Ribbon 2, Combat Medical Badge, and Expert Weapons Quali­fication Badge.